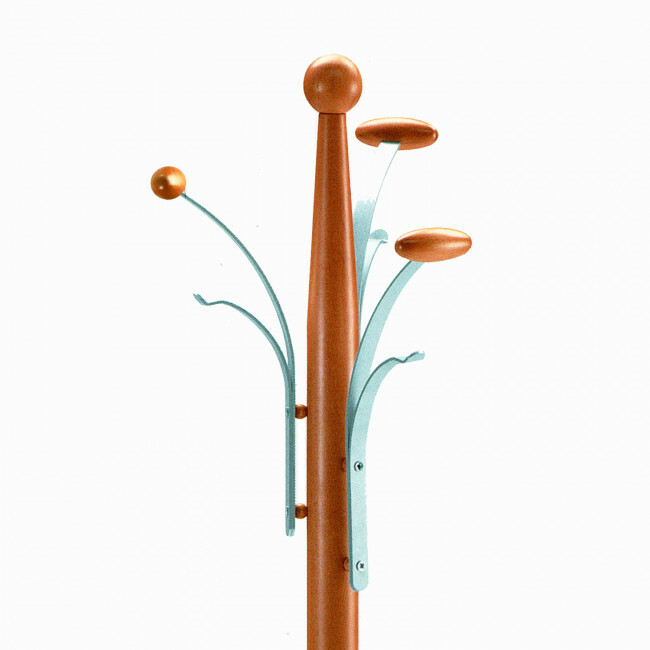 Smile is a wooden coat stand with circular shaped base and details in grey metal. Smile is available in two different models: with 3 coat hooks or with 6 coat hooks. Both coat stand models are perfect for the hallway or a corner of the living area and they allow to tidely put away jackets, coats and scarves. The simple shapes, linear and clean design and the several hooks available make these wooden coat hangers especially useful when you have guests. Note: dark oak and cherry finishes shown in the photo are no longer available. Please refer to the menu to find out the available finishes. Dark oak and cherry finishes shown in the photos have been discontinued. Base and details: gray colour metal. 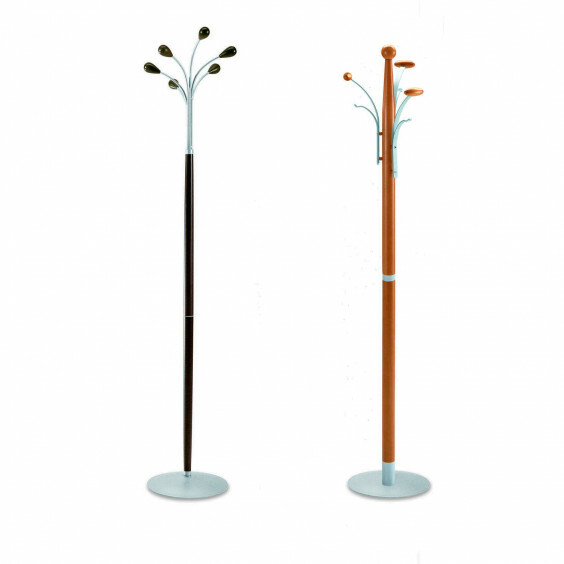 Smile wooden coat stand belongs to the coat rack collection and is available in two different models ideal for several areas of the house.